OPTI-MASK HYDRATE by Kare MD Skin Health | Top Beauty Blog in the Philippines covering Makeup Reviews, Swatches, Skincare and More! We all need a little self-love from time to time. 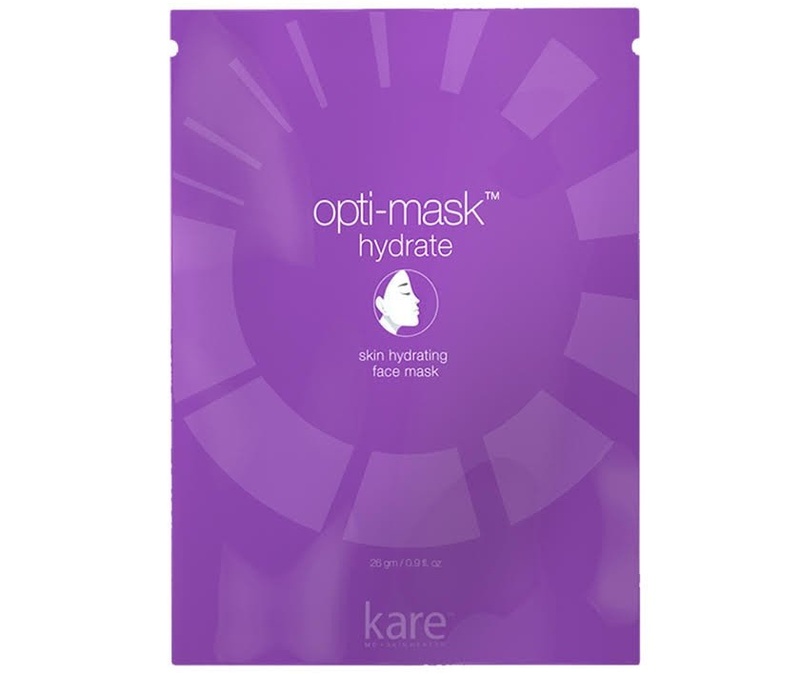 Opti-Mask Hydrate from Kare MD Skin Health offers a twice weekly power-boost to your skin with a hydrating face sheet mask with an opti-fiber delivery system. So sit back, apply the face sheet mask on your skin and relax. A hypo-allergenic optifiber face sheet mask that hydrates and energizes the skin. Opti-Mask Hydrate delivers a smooth coat of ultra-hydrating serum onto the skin. Rich in hyaluronic acid and skin-stimulating antioxidants, Opti-Mask Hydrate improves skin moisture levels with a simple, twice weekly application. Hyaluronic acid (skin quencher and moisturizer); Meadowform extract (energizing skin antioxidant); Niacinamide (anti-aging vitamin that stimulates cellular renewal and repair); Licorice extract (natural skin lightener). We just love the optifiber delivery system because it felt so refreshing on the skin. Use it twice weekly and relax for 15 to 20 minutes with it on your skin. It felt like our own mini-spa treatment. We actually tried putting one in the refrigerator and it felt so refreshing on the face once applied. The serum was rich in texture and easily absorbed into the skin. Unlike other face sheet masks, there was enough extra serum to apply the excess on the chest and decollete, making the treatment all that more effective. An absolute must-have as the Opti-Mask delivers everything promised. The hydrating serum is packed full of natural antioxidants, skin stimulating botanicals, and natural skin lighteners. Niacinamide and Licorice extract pack a powerful therapeutic punch against fine wrinkles and sunspots. I tried something similar to this and loved it, this product looks great as well.